I am a graduate of James Madison University. I've worked for Nationwide on and off since I was in the 7th grade. I am the 16th Olson to work for Nationwide Insurance, starting with my grandfather who was a Vice President. The Nationwide Insurance: Olson Insurance Agency LLC in Arlington, VA provides the following products. To learn more about each insurance product, click on the links below. You know the importance of being a responsible driver who is defensive and aware of your surroundings. Now, it is time to enlist the help of Olson Insurance Agency LLC so we can create an auto insurance policy that is customized to meet the needs of your family. We take our job seriously and are confident we can design a policy that accurately addresses the unique risks your family faces. When you begin working with Olson Insurance Agency LLC at our Arlington office location, you will notice that adding drivers to your policy or modifying coverage options is simple, efficient, and understandable. By working together with Nationwide, we provide an On Your Side® Review where we assess changes that need to be made to your policy. We also look for ways to lower the rates you pay and provide you with discounts for which you may qualify such as good student discount or multi-policy discount. There is no greater time than now to protect your family with the security of a reliable auto insurance policy. You can call us today at (571) 438-6902 to set up an appointment at our office located at 5303 Lee Hwy. We look forward to helping you acquire the coverage you need. Long before it's time for your first house-warming party, make sure you get home insurance coverage from Nationwide and Olson Insurance Agency LLC. Our agents can help you take care of this essential step of becoming a Arlington homeowner. They can also help long-time homeowners search for a better solution to their home insurance needs. Along with sound decisions about covered damages and claim limits, there are a number of ways to personalize and save on your Arlington homeowner's policy. Concerned about an aging roof and what's going to happen when it needs to be replaced? Nationwide's exclusive Better Roof Replacement® may be a great choice for your policy. Have any high-value possessions? More than just the dwelling and essential contents, Valuables Plus® may be an important policy addition. Explore, too, options to add smoke detectors, burglary alarms, or other qualifying devices to your home. Best of all, it doesn't need to take endless hours to research and agonize over these decisions. Let one of our Olson Insurance Agency LLC agents demystify the process without oversimplifying it. Call us at (571) 438-6902 to discuss your property and policy coverage. All of our Arlington customers are welcome to make an office appointment, but especially if you live in the 22207 area, it might be just as easy to swing by and talk about your coverage in person. It's all part of the flexibility and customer service you can expect from Olson Insurance Agency LLC. No matter if you have a family, a spouse or are single, you need a life insurance plan built with the help of Max Olson in Arlington. Your plan is intended to provide you and the people most important to you with complete peace of mind, but you might be uncertain as to what kind of protection is best for your particular needs. Know that you have quick and easy access to professional help to ease your mental burden. If you’re unsatisfied with your current life insurance protection, or if you’re getting insurance for the first time, do yourself a favor and work with a life insurance agent who cares. When you’re ready, we’ll be waiting for you at Olson Insurance Agency LLC located at 5303 Lee Hwy,Arlington,VA,22207. You’re also more than welcome to speak with Max Olson directly by calling (571) 438-6902. The only thing better than having the perfect business idea is having a complete insurance plan to protect your business. Olson Insurance Agency LLC works with Nationwide to provide Arlington business owners with high quality protection for their companies, employees, and the future of their businesses. Let Max Olson and Nationwide safeguard your business while you take care of business. While we may not know your business as well as you do, we certainly know how to protect that business. To learn more, be sure to swing by and pay us a visit at 5303 Lee Hwy at your earliest convenience. If business is booming and you're unable to pull yourself away, you're also welcome to give us a call at (571) 438-6902. The Olson Insurance Agency LLC also offers products in DC, MD, NC, PA, TN, VA, WV. Please call for information on products in those states. The Olson Agency is a heritage agency with roots dating back to 1953 when Max Olson's grandfather, Jack Olson, began his career with Nationwide Insurance. Since then there have been over 20 members of the Olson family who have worked with Nationwide. 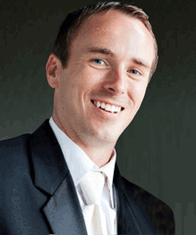 Max Olson began his own insurance agency in 2012 after working for several years under his father, John "Jack" Olson. His previous experience combined with the agency's committment for growing with their members' needs has made the agency one of the top agencies in the DC metro area. The Olson Agency is a family owned and operated agency that has been around for over 40 years. We pride ourselves on delivering the best possible customer service available and making sure that our clients are getting the best value possible.